A lunar eclipse occurs when the moon passes through the Earth’s shadow, during instances when the Sun, the Earth, and the moon are in alignment. The deep red hue of the moon is caused by sunlight refracted by the Earth’s atmosphere where most of the blue light has already been scattered, leaving only the red light to fall on to the moon’s surface. 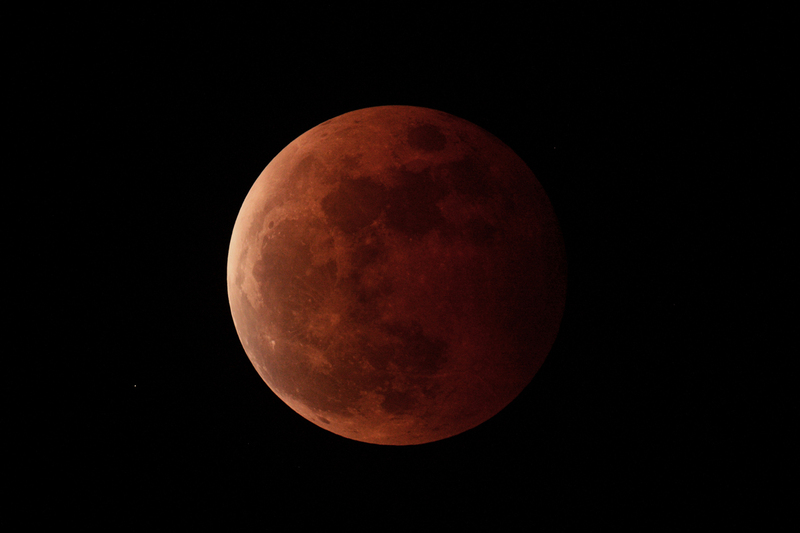 Total lunar eclipse observed from Quezon City, Philippines on October 8, 2014. Photo Credit: Anthony Urbano. Related link: Eclipse Observation featured on TV5. Total lunar eclipse observed from the Philippines on December 10, 2011. Photo Credit: Anthony Urbano. For more images of the December 10, 2011 total lunar eclipse, click here.